Remote Desktop Services, formerly Terminal Services, is a technology from Microsoft that allows users to access remotely to a session-based desktop, virtual machine-based desktop or applications hosted in a datacenter from their corporate network or from the internet. Multiple RDS servers can be used in a farm. Hence we need to balance the load against them. 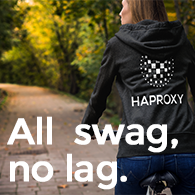 Of course, our load-balancer of choice is HAProxy! In this blog article, we’re going to focus only on the case where a load-balancer is used. The main issue when load-balancing multiple Remote Desktop Services servers is to ensure a user the continuity of his session in case of a network outage. Current article will focus on session high availability for an optimal end user experience. The connection broker, formerly Session broker, main purpose is to reconnect a user to his existing session. Since Windows 2008, the connection broker also have some load-balancing mechanism. So, why using a load-balancer if the connection broker can do load-balance? Answer is simple: security. 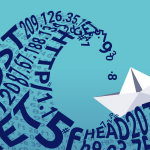 Since HAProxy is a Reverse-Proxy, it breaks the TCP connection between the client and the server. HAProxy can be deployed in DMZ to give access to users coming from internet to a RDS farm deployed in the VLAN dedicated to servers. Note: this configuration works for the ALOHA 6.0 and above and HAPEE (HAProxy Enterprise) 1.5 and above. 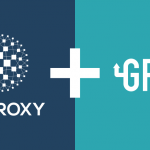 HAProxy can be used on its own to perform session load-balancing and resumption. For this purpose, it needs a stick-table where the user-server association is stored. A peers section is added to the configuration. So we can share session persistence information between a cluster of ALOHAs or HAPEE servers. We can easily read the login used by the user, the expiation date (in milliseconds) and the server ID used for the session.